Donner Properties belongs to various association in the oil and gas industry that allow us to better meet the needs of our clients. 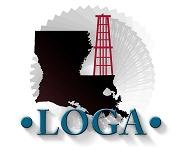 Louisiana Oil and Gas Association (LOGA) LOGA was organized to represent the independent sector of the oil and gas industry in Louisiana. Their primary goal is to provide the oil and gas industry with a working environment that will enhance the industry. Creating incentives for industry, warding off tax increases, changing existing, burdensome regulations and educating the public and government of the importance of the oil and gas industry in the state of Louisiana is what they do for the membership. LOGA confronts and deals directly with the many issues that are causing harm to the industry. Donner Properties strongly supports this working organization and currently serves on the Board of Directors and the Executive Board. Gulf Coast Prospect Expo (GCPE) The Gulf Coast basin, the premier Lower 48 natural gas province, continues to be a focal point for our nation’s future exploration activity. Strategically located amidst this activity is Lafayette, Louisiana, home of the Gulf Coast Prospect Expo. 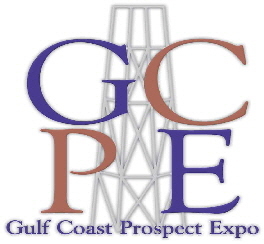 No other prospect expo can tout the success of GCPE in linking Gulf Coast prospect sellers to Gulf Coast prospect buyers. Focused, and effective, GCPE has grown into a serious networking, dealmaking event for both the one-man generator and some of the largest companies in the industry. Donner Properties proudly serves on the advisory board to promote this important annual event. NAPE (formerly North American Prospect Expo) was founded in 1993 to provide a marketplace for the buying, selling and trading of oil and gas prospects and producing properties (added in 1998) via exhibit booths. NAPE brings state-of-the-art prospects and properties from U.S. and around the world, advanced technology and energy capital formation all together in one location, creating a pure market place to establish strategic alliances for doing business and initiating purchases and trades. NAPE’s success may be attributed to the fact that attendees tend to be decision makers; therefore business gets done - people sell deals and buy deals and raise money. NAPE is successful because NAPE is the oil business. American Association of Professional Landmen AAPL's mission is to promote the highest standards of performance for all land professionals, to advance their stature and to encourage sound stewardship of energy and mineral resources. Donner Properties served four years on the advisory board of the local chapter for the Ark-La-Tex Association of Professional Landmen. These organizations promote high standards of professionalism and ethics. IPAA is a national trade association headquartered in Washington, D.C. It serves as an informed voice for the exploration and production segment of the industry, and advocates its members' views before the US. Congress, the Administration and federal agencies. IPAA provides economic and statistical information about the domestic exploration and production industry. IPAA also develops investment symposium and other opportunities for its members. Landmen constitute the business side of the oil and gas and mineral exploration and production team. Company land men negotiate deals and trades with other companies and individuals, draft contracts (and administer their compliance), acquire leases and ensure compliance with governmental regulations. Independent field land men serve clients on a contract basis and are generally the industry's contact with the public as they research courthouse records to determine ownership and prepare necessary reports, locate mineral/land owners and negotiate oil and gas leases and various other agreements with them, obtain necessary curative documents and conduct surface inspections before drilling. Independent land consultants serve clients on a contract basis and much effort is directed to due diligence examinations required in the purchase and sale of companies and properties.